The reason I don't believe this 'production delay' excuse is that, first, Apple had a documentation survey trying to "feel out" the user base to see if Apple could swing including only the Help Viewer documentation. Second, when has a major software company like Apple EVER released the software BEFORE releasing the documentation for the software (and what would be the point of doing that)? Third, the manual was already finished in the form of Help Viewer HTML files at release; users on the Apple Discussion forums produced their own Frankenstein PDF manual from those HTML files in less than a day, so I find it difficult to believe that there was any sort of delay at Apple producing the PDF of a manual that was already written in another form. Fourth, the PDF manuals were once linked directly from the Help menu in Logic and now that's not true--the links are gone and only that crappy Help Viewer stuff is there; I bet a future update will put the links to the PDF back in the Help menu! My personal view is that someone at Apple rolled the dice, realized the mistake after the backlash, and now they're doing damage control. Regardless, it's nice that they fixed their faux pas. 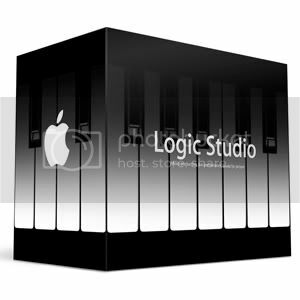 In other Logic news, those of you wondering what happened to the PDF manual for Logic Studio 9, it’s back! Apparently there was a production delay that held up its release; Apple says it was never their intention to eliminate the PDF version.